This study examines how email affects male and female managers’ work performance and stress. 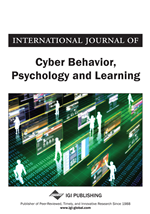 Drawing on theories of gender, technology and communication, and focusing on management positions we examine whether email has similar effects on men and women. It is shown that work performance is equally high among men and women but evokes more stress among women. The authors explain this as being due to women’s preference for face-to-face communication over technology-based media. Their results highlight the costs and benefits of both systems in management positions. These results provide a preliminary assessment of how technology-based communication gives rise to an “undercover” aspect of the gender divide in the workplace. Technology, according to Feenberg (2002), is either perceived as neutral or value-laden. As a neutral form, technology involves a high level of technical determinism and assumes the existence of absolute separation between means and ends. In the value-laden approach, technology leads to better social outcomes, and technological developments do not necessarily give rise to desirable social outcomes. Among such outcomes, for example, is the generation and perpetuation of “gendered” organizations, because a strong focus on technology has “masculine” connotations (Wacjman, 2004), and increases the potential of “masculine practices”. These may prevent women from achieving their full work potential because they may not prefer, or may even avoid technology-based tools of communication (Moore, Griffiths, Richardson, & Adam, 2008; Cooper, 2006). Moreover, if the intensity of technology use is high, it may increase work stress among women managers (Goldfinch et al., 2011). This problem may arise because (a) email communication is largely restricted to formal, information-based interactions (Debrand & Johnson, 2008), although (b) middle and upper levels of management are often aware that high-performance managers need to use face-to-face communication to connect with subordinates in order to avoid the absence of facial clues about intuitive reactions and expression of emotions. According to Eagly (2005), women managers tend to be democratic, as opposed to male managers, who are perceived as autocratic and centralised. Kelan (2008) provided detailed analysis of how men and women differ in regard to their “internal” mental work. Women prefer to establish stable relationships with employees even during conflicts, and strive to gain support and trust in order to reach wiser and more effective management decisions. Information overload occurs when the extent of incoming information is much higher than the respondent's potential or even willingness to respond (Thomas et al., 2006). Early studies identified serious problems with the level of “analyzability” (Rice, 1992, p.478) and interruptions (Jackson, Dawson & Wilson, 2003) that detract from more crucial tasks in regard to overall work performance (Mano & Mesch, 2009). Unless email is perceived as a social activity, in which case it can lower work stress, and thereby increase productivity (Coker, 2011), accumulation of unread emails increases the time spent in retrieving task-oriented messages, thus creating a higher sense of overload and lower levels of performance (Belloti et al., 2005). Email overflow is especially detrimental to individuals who prefer direct and/or face-to-face communication. For women managers personal interaction enables intuitive reactions (Debrand & Johnson, 2008). As a result, women managers may differ from men in the experienced level of stress caused by email overflow (Srinivas, 2011; Bury, 2010; Belloti et al., 2005).